The NFL knows they’re in huge trouble. Ever since Colin Kaepernick decided to take a knee during the National Anthem last year— and the NFL and team owners did nothing about it—they’re ratings have steadily declined. But these new statistics of NFL ratings will leave you speechless. Kaepernick is no longer playing quarterback in the league and yet he’s still affecting the game. Many current players have picked up the torch and are kneeling this season. And that has caused a serious backlash amongst patriotic Americans and NFL fans who are now boycotting the players who are disrespecting the United States. Their boycott has caused NFL ratings to plummet in a massive way. Of course the rife hurricane season might have played a role in declining ratings, but it’s been weeks since the last one hit the states and ratings still continue to slip. So, no, it’s absolutely because of the multimillionaire players who are disrespecting our country. These new numbers are mind-blowing. For CBS, the NFL couldn’t move past the anthem controversy fast enough. According to Credit Suisse, CBS’ plummeting NFL television ratings will have a direct impact on the company’s earnings. Credit Suisse cut CBS’ third quarter EPS estimates by 5 percent, due to the network’s struggling Sunday NFL ratings. According to Credit Suisse analyst Omar Sheikh, “We expect third-quarter network advertising to decline 3 percent (previously +1 percent), driven by soft ratings for both the summer schedule and for the start of the NFL season. According to CNBC, “Sheikh maintained his outperform rating and price target on CBS shares, which remains at $75, or 32 percent upside from Friday’s close. He cut his third-quarter EPS estimate to $1.08, below Street consensus estimate of $1.12 from FactSet. “The analyst said CBS’ Sunday NFL ratings are down 17 percent year over year during the first several weeks of the football season, according to the report. With earnings projections like these, it’s no wonder that networks recently stopped broadcasting the anthem protests. Of course, these same networks were only too happy to show the anthem protests when they first began. Primarily due to the fact that something newsworthy was happening, and, of course, they agreed with Colin Kaepernick. Now the Frankenstein they’ve created has turned on them. 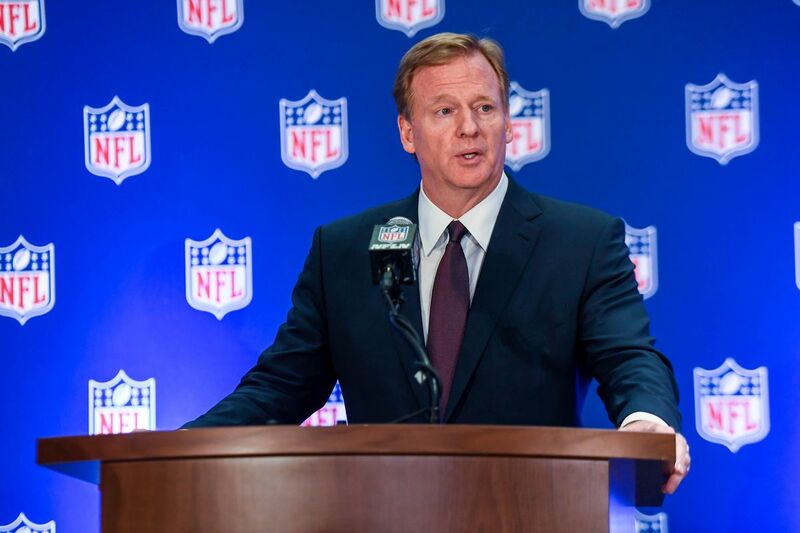 Players met in New York with Roger Goodell to discuss the protests and they claim it was a great conversation, but unless they start standing for the flag and anthem, fans really don’t care.